Here you can find all the news from Krakow and information about the places where we drive. Why is it worth to visit the Auschwitz camp? Recently visiting the camp has become much easier than previously. There have been numerous companies established, dealing with organising trips to Auschwitz and nearby surroundings. This proves real popularity of the destination. What is more, Auschwitz and its surroundings are popular not merely amongst Poles, but also amidst foreigners. Guests from entire Europe, huge America parts, Asia or Africa are frequently met in Auschwitz. This trend raises the question of causations of such popularity of the place, located in southern Poland. Why is it worth to visit the Auschwitz camp? There are many reasons. First of them is, of course, related to the history of the place and memory of those who suffered and died here. To honour them, each one of us should visit the place at least once in a lifetime. The entire camp is a place of meditation and reverie. Looking at the leavings of the camp, we cannot get rid of the atmosphere of sadness. This mood totally dominates the visitors throughout the trip. This feeling is even more worth to experience because we know that so many nationalities have suffered from Nazis there. And so many nationalities have their nationals to honour here. This is the element connecting all the nations. We should always remember that now only Jewish and Poles have been killed in the Auschwitz. The same tragedy affected Romas, Russians and many more nationalities. Walking throughout the area visitors can find out, how disastrous living conditions were prisoners forced to be in. However, this atmosphere of sadness and our duty to honour ones killed in the Auschwitz is not the only reason to come here. Next one is related purely with touristic. It is worth to know that the Auschwitz is wonderfully maintained, its condition has not changed throughout the period of dozens of years. All the details, including the entrance gate and sign “Arbeit macht frei” (“Work makes free”), are just the same as they were while the camp was conducted by Nazis. This makes the area having an enormous touristic value. This value will go even further, if we take into account sizes of the entire camp leavings, including two sites: Auschwitz I and Auschwitz II Birkenau. Both sites should be visited by tourists by around 90 minutes to be familiarised with comprehensively. It is tourist arguments that attract so many foreign visitors, including guests from the United States or Canada. On the other hand – people of those countries have often someone close, including family members that have been killed in Auschwitz. After all, plenty of present Americans have Polish or other origin. Analysing the values of Auschwitz tours we should also write about the Salt Mine. It is another amazing place to see. It is located nearby the Auschwitz camp in the city of Wieliczka. Its role was to get salt from there. In the past it was one of the most essentially vital centres of the local economic life. Today it is nothing more but just a tourist attraction. But the attraction that attracts many. What is so unusual in the Salt Mine? First of all, it is a place located underground. This, itself, makes an unforgettable impression. While visiting this area, tourists can get know the appearance of a salt mine in the past and find out what appliances were used there. This is truly important not only for people interested in history. It is an amazing experience for young people. So, experiencing one of the Auschwitz and Salt Mine tours is something more than a duty. And it is something more than a tourist attraction. It is a bit of both. Knowing this great need, local carriers of each way of transportation, have started to provide much wider services recently. For example let us say about Krakow airport transfers. They offer convenient transportation to Auschwitz from the entire Europe. Krakow has airway connections with most European countries these days. And therefore – this makes a convenient way of transport for people from America and other continents. Apart from the transportation, companies coping with the Auschwitz and surroundings tours organise greatly comfortable booking possibilities. We can easily use the Internet to get a ticket to the Auschwitz camp. This Internet reservation is a dominating way of booking tickets for Auschwitz Museum mainly. This Museum, possessing unimaginably striking stuff belonging then to the camp prisoners, is one of the most attractive spots in the entire camp leavings. And the Internet booking means that people from all over the world can easily book their spot in the camp, in the way much more comfortable than ever before. Auschwitz is definitely one of the most recognizable spots related to the World War II. There was the biggest concentration camp located there. Nazis were killing millions of people in the camp, using various cruel methods. Mostly affected by the calamitous activity were Jewish, however number of Poles, Russians and plenty of other nationalities had been killed there. What has left from these days till the presence? Taking into account plenty of events taking place in and nearby the camp, it needs to be said that the condition of Auschwitz is genuinely good. All the buildings in the entire camp are maintained in unchanged form. This makes absolutely striking impression. Visitors are always utterly touched by the view, remaining these disastrous moments of European and world history. Shifting to concretes, why is it worth to visit the Auschwitz camp? To answer this, there is a vital need to remark the entire camp and all the sites of this great area. Because trips to Auschwitz are still really popular amongst plenty of nations, despite the passage of time, it is deeply believed that the condition of the camp will be maintained at the same level. It is necessary for future generations. First of all, Auschwitz consists of two main sites: Auschwitz I and Auschwitz II Birkenau. Both sites associate with moments of their establishment, which was not at the same moment. Auschwitz II Birkenau was built later. Despite this difference, both sites of the entire Auschwitz camp are entered by main gate, with the most famous “Arbeit macht frei” sign, which is simply translated as “Work makes free” from German. This sign tells much about the destination of Auschwitz camp as it had been planned at first: Nazis were planning to create a labour camp. These planes were rapidly modified into something much more disastrous for nations and the entire humanity’s history. The sign dominates a huge block, embracing first buildings that prisoners were held in. There are also watchtowers around the area. All of it clearly visible from this particular spot. After passing the entering gate, we can observe the camp itself. Barracks that camp’s prisoners were held in are maintained in untouched form, with all the tragic details, including indecent living conditions. At this stage the size of the camp must make impression. But this impression is fast replaced by the atmosphere of wistfulness and muse. This atmosphere is absolutely dominating throughout the camp. There is also an essential need to remember about the museum established on the Auschwitz terrain. This museum can be even more striking than previous view. This is because the museum possesses real leavings of prisoners, including their personal stuff. This is how Nazi crimes’ after-effects still matter around the world. It is worth to be added that the entire area of the camp is surrounded by a barbed wire, exactly the same that was put here by Nazis. This view is the evenly piercing as the previous ones. It is obvious that some experiences can be too striking for some. That is why merely people with strong nerves should visit some parts of the camp, including the museum. Taking all above into account, there cannot be an astonishment that the Auschwitz is so well-known and so frequently visited by so many. And those visitors have now very easy challenge to get there. There are many companies organising Auschwitz tours. Most of them offer greatly complex program of the visit, including seeing of the camp – its both sites – as well as nearby attractions, with the main inclusion of the Salt Mine. This famous place is definitely one more huge attraction, really worth to be seen by foreigners and Poles. The Salt Mine is also a historic spot, because there were number of relevant events taking place there. This underground area had been an important component of a local economic life for a very long time. And it still is worth to care for it and maintain it in an unchanged condition, just as the Auschwitz camp. To get to Auschwitz, foreigners can easily get Krakow airport transfers. They are much more adjusted to tourists needs than previously. It is one of the most vital changes in recent times. Getting an airplane, especially by other countries livers, are the fastest and the most comfortable way to get here. 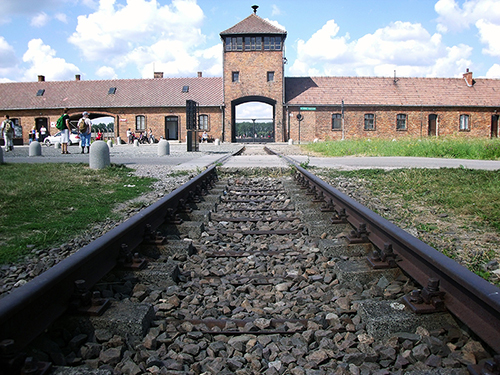 Auschwitz tours are not only much more comfortable than previously, they are also much cheaper. This is why all that want, can afford such trip. Even from distant countries. It is worth to be mentioned that more and more Jewish visit the camp every year. They still look for the place that has written so tragically in their national history. Memory of their families and nationals requires this behaviour. So, do not hesitate any longer. You also should visit the Auschwitz camp. And if you have done it already, it is also possible to get there once more. And perhaps to bring your relatives or friends with you. They will all be truly thankful to you. Auschwitz is a very special place in Polish and European history. During the World War II there was a concentration camp located there, the biggest of them all, founded and conducted by Nazis. The camp was founded in 1940 for prisoners from the whole Europe. Most lags were Jews; however there were thousands of Polish and Russian citizens, German criminals and lots of other inmates. The camp is known for its frightening role in Nazis’ policy aiming to exterminate people: several millions were killed there. Auschwitz was freed by Russian soldiers and their allies as late as in 1945. Today we can still observe most of what has left from the camp. Being there is a unique experience, full of spiritual feelings. Auschwitz tours are organised very often, however you can make your absolutely successful trip with us. You can count on seeing everything that you have earlier merely read about, what is a part of this inglorious proof of World War II cruelties. 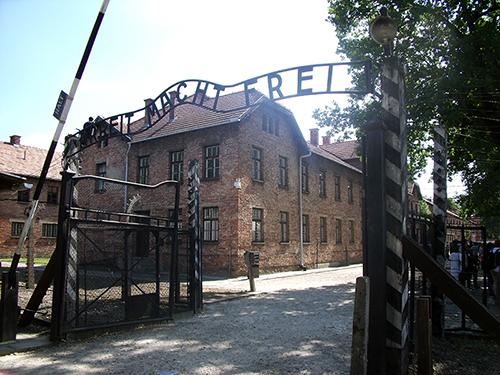 Visit should be certainly started from the worldwide famous gate “Arbeit macht frei” – the sign meaning “work makes free”. This gate and the sign itself are not only entrances to the camp leavings. These are also the main evidences of Nazis’ policy – to exterminate prisoners, inter alia by beyond-strength work. All Auschwitz tours should have this point in a trip plan. Above the gate there is an enormous guardhouse, perfectly preserved despite the time passage. This guardhouse is a building visible from far away and it is some kind of announcement of what is going to be visited by tour participants in the camp. A dreadfully thrilling announcement let us add. Next the visitors can observe the main part – barracks and buildings where camp guards were staying. This area is large and we can spend couple of hours walking throughout. There is also a museum with lots of camp prisoners’ reminders. All Auschwitz tours have this spot in a trip plan as well. 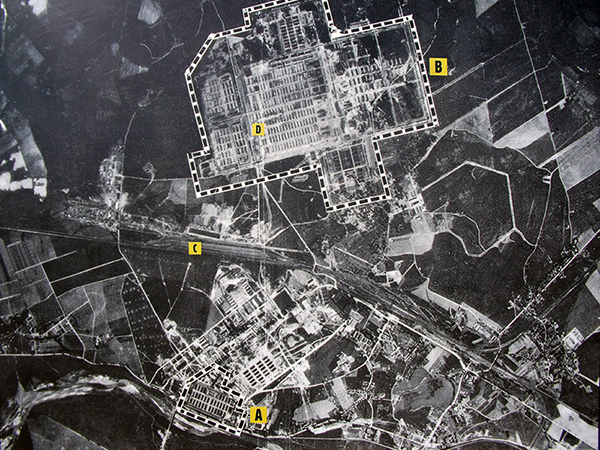 The entire area is made up of three parts of the complex: Auschwitz I, Auschwitz II – Birkenau and Auschwitz III – Monowitz. This large area could fit around 30 thousand prisoners. Silent filled with reverie and meditation is dominating in the camp. This atmosphere is brought about by the memory of what has happened here during the World War II. And mentioned leavings, being immortal witnesses of it, do not let us forget. Auschwitz tours are destined for everyone willing to familiarise with the sad history of Poland during the War. Nothing can replace these experiences.